What Should I Consider When Buying a Stroller? Jogging strollers are excellent for jogging or walking, but they are not very compact. The number of choices available complicates buying a stroller for your baby. Tons of styles of strollers and baby carriages exist, and every model has advantages and disadvantages. You can even find double strollers if you plan to stroll more than one child at a time, or sit/stand strollers where an older child can ride standing, while a younger child can comfortably ride in a seated position. In all, it can be a little overwhelming if you’re facing huge amounts of choices at your local department store. Carriages: Larger strollers that convert to a full lying down position and to seated position. They are slightly bulkier and will accommodate children up to 40 pounds (18.14 kg). Umbrella or super lightweight: These weigh significantly less, about 5-12 pounds .91-5.44 kg), and fold compactly. They usually don’t offer reclining seats and aren’t suited to infants under six months old. Jogging: Large wheeled, quickly manipulated strollers that may accommodate children up to 60-80 pounds (27.22-36.29kg). They may be difficult to pack and heavier, but the trade off is that they are perfect for walkers and joggers. They usually aren’t recommended for very young infants. 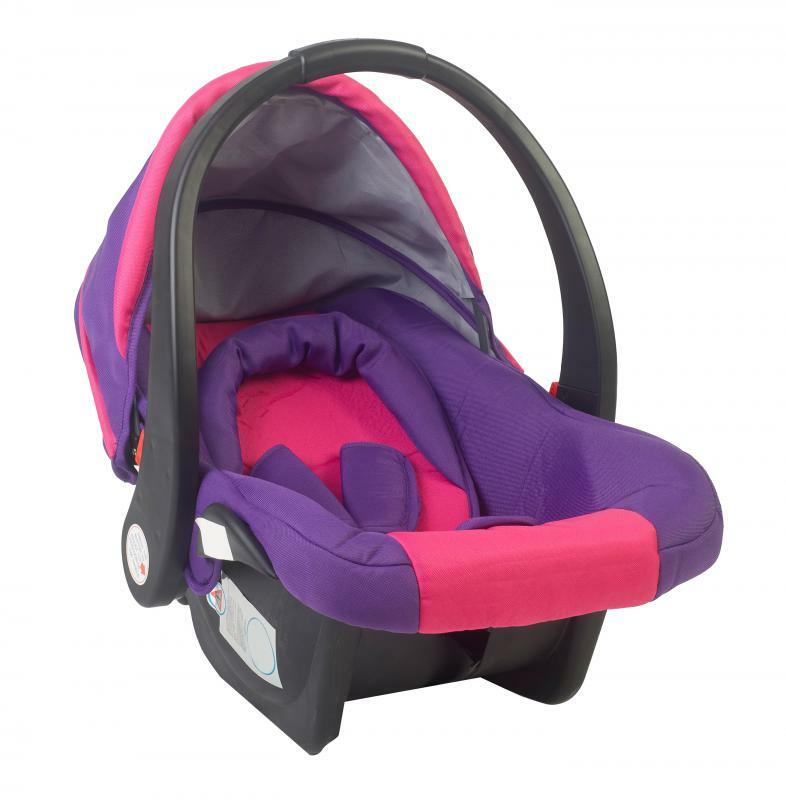 Convertible strollers: These will fit infant car seats into the stroller mechanism, and can later be used without the seat. While they are useful during the first few months, they can be very heavy. This may be a good tradeoff if it means not waking baby up by removing him or her from a carseat. Consider how you will use the stroller and match it up with each variety to see which one best fits. That is only the beginning. You’ll also want to think about some other things when you are buying a stroller. Among these, you definitely want to contemplate baby safety. If you plan to save a little money by buying a stroller that is used be sure that the used stroller is still pretty recent in make and model. Also verify that there are no recalls pending against the particular brand or model. For better safety when riding, children are most secure in a five-point harness, but this may be unnecessary for older toddlers. 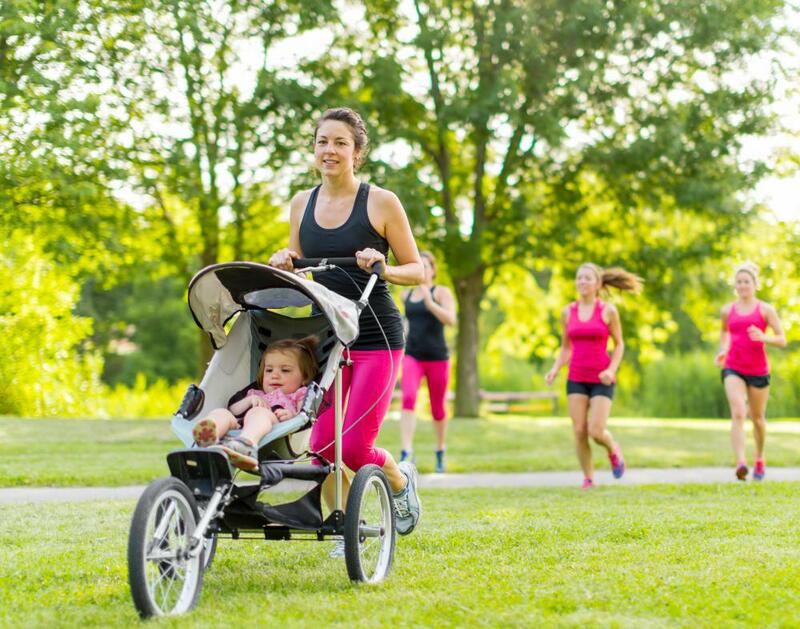 If your choice is a jogging stroller for running or jogging, you should still choose the five point harness, since even an older child can be injured if he or shee falls out of a quickly moving stroller. Also, on used models, check the brakes to be sure they work adequately. Additionally, you’ll want to contemplate your height versus that of the stroller. If you’re buying a stroller and you happen to be very tall, you’ll need to find handlebars that adjust or purchase a set of attachable bars that can accommodate your height. Be sure that the handles fit you comfortably without having to stoop. It is very uncomfortable to lean over a stroller and can cause sore necks and backs. A few more things to keep in mind when you’re buying a stroller are washability of fabric and accessories available. Washability is vastly important, since babies and young children are quite prone to making messes. Accessories that can be helpful are things like trays, extra storage space for diaper bags, bottles or toys, and overhead shading to protect kids from too much sun. If you find an ideal stroller that is short on these, see if they can be purchased separately. What are the Most Common Reasons for a Stroller Recall? What Should I Consider When Buying a Twin Stroller?